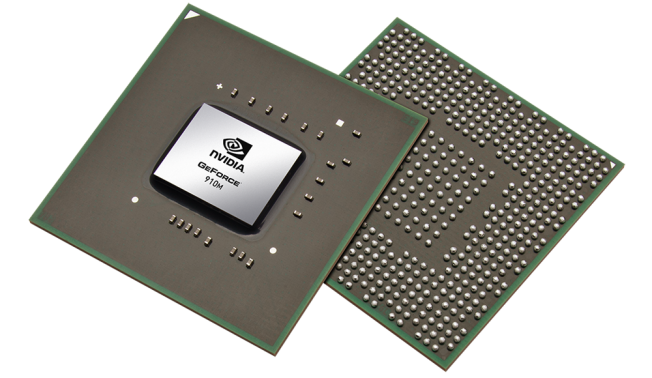 The NVIDIA GeForce 910M is an entry-level DirectX 12 compatible graphics card announced in late 2015. 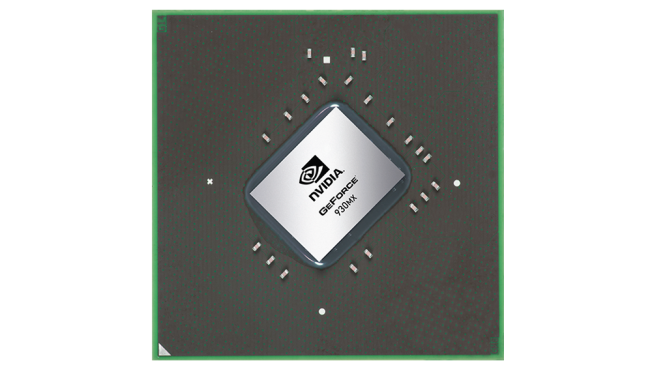 Its core is based on the 28nm GF117 chip (Fermi architecture) and is equipped with 64-bit DDR3 memory. The 910M is a renamed GeForce 820M, which already was based on the the old GT 620M, GT 720M and GeForce 710M. It should be noted that the GF117 does not offer dedicated graphic ports and can therefore only be used in conjunction with Optimus. The 820M supports GPU Boost 2.0, which can automatically overclock the card if the laptop cooling system allows it. The gaming performance should be identical to the old GeForce 820M (see this page for benchmarks and game tests) and therefore also GT 720M and the Intel Iris Graphics 5100. This places the card in the entry level segment. Only old or low demanding games run fluent on this graphics card. The shader cores (also called CUDA cores) can be used for general calculations with APIs such as CUDA, DirectCompute 2.1 and OpenCL. PhysX is theoretically possible, but the 910M is too slow to handle both PhysX and 3D rendering in modern games. 3D Vision is not supported according to Nvidia. The power consumption of the Geforce 910M should be similar to the old 820M and GT 720M. As a result, the GPU is best suited for notebooks 13 inches in size or greater. The efficiency however cant be compared to a modern Maxwell based GPU like the GeForce 920MX.